Which comes first? God or the re-pin? 5:15 a.m.: Phone alarm sounds! Hit snooze. 5:24 a.m.: Phone alarm sounds again. Turn off. 5:25 a.m.: Groggy and wanting to wake up I decide to check email on my smart phone. 5:29 a.m.: Slightly awake I decide to check the mission critical news of the day: Status Updates. 5:39 a.m.: Fully awake and completely capable of getting out of bed I decide to get my creative juices flowing by checking my new favorite addiction, Pinterest. So much goodness…let the pinning begin. 5:53 a.m.: Yikes! I am now officially running LATE! I have one hour and 15 minutes to get showered, dressed, breakfast ready, 2 kids up, dressed, and out the door. No time, no time! 5:54 a.m.: I toss a few prayers up to God and promise to get to Him later. Later…I promise Him later. Ug. He deserves more than my later. He deserves to be before email, before facebook, before Pinterest. He deserves to be my first Pin of the morning. The bad habit needs to be broken. Something drastic is in order. I will no longer be using my phone as my alarm clock. 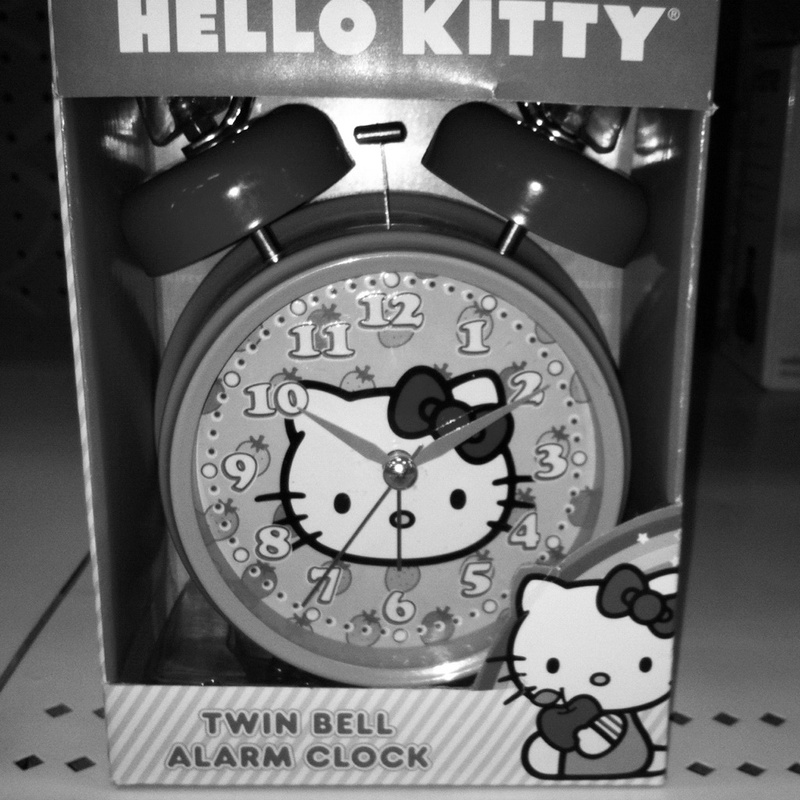 I got myself an old-fashioned alarm clock that will wake me. He chose me. He chose me to send His son for. His only son came, lived so I could learn, and died so I could live. He deserves to be my first because He first loved us. Won’t you love Him first today?